Looking at the history of holidays celebrated on UofM the Fourth of July seems to be best represented in quantity and ridiculousness. 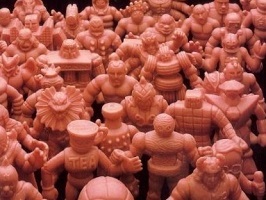 But what about non-American M.U.S.C.L.E. collectors? They don’t get the day off. They’re probably not drinking beer and lighting fireworks (well, maybe the unemployed ones). So this year I tried to pick an image for the 4th everyone could get behind. Happy 4th of July! (Even if it’s just Thursday for you! This entry was posted on Thursday, July 4th, 2013 and is filed under UofM News. You can follow any responses to this entry through RSS 2.0. You can skip to the end and leave a response. Pinging is currently not allowed.